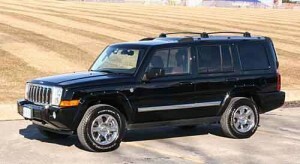 The 2006 Jeep Commander has received a thumbs up from the National Highway Traffic Safety Administration for frontal impact crash protection. The U.S. agency gave the Chrysler Group product a five-star rating, which is the highest pass mark assessed to vehicles. It’s the 11th new vehicle from the manufacturer to receive the top grade for frontal crash tests. In addition to the raft of standard safety features, side curtain air bags with a detection system designed to deploy on certain rollovers and side impacts, were incorporated as standard equipment in the 2006 Commander.